So after several months of planning and organising I finally have a date for my move from Brighton to Cornwall. I will be moving to Truro on the 1st of June and starting lessons on the 3rd. Lessons will take place in Truro as well as at Trevada music in Cambourne. Looking to learn the guitar? Cornwall Guitar Lessons offers bespoke guitar tuition and structured ten-week courses for beginners through to advanced players specifically designed to improve your playing and tailored to your own abilities and goals to ensure best possible progress. All courses have been designed by myself, Darren Richards and can be adapted to suit every player. This website is designed to help you decide if we are the right guitar teacher for you. 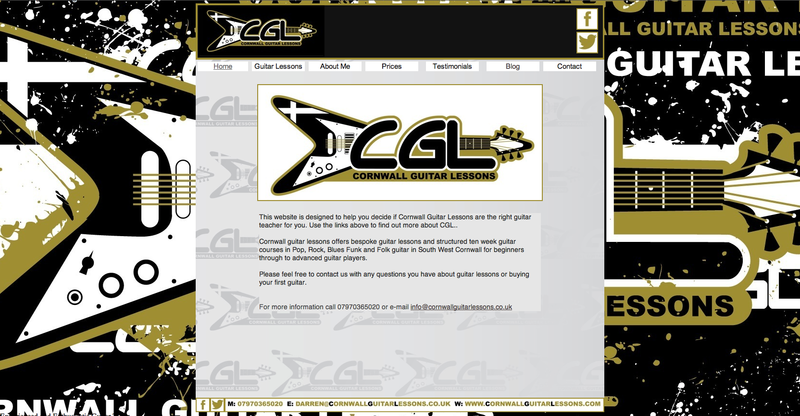 Use the links above to find out more about Cornwall Guitar Lessons. Cornwall guitar lessons offers bespoke guitar lessons and structured ten week courses in Pop, Rock, Blues Funk and Folk guitar in South West Cornwall for beginners through to advanced players. Guitar Tutor offering guitar lessons around South West Cornwall.